Converting an old building can create the most individual of homes, but what is involved? Creating a new home from a dilapidated old building thats use was intended for a purpose entirely different takes a great deal of imagination, time, perseverance and foresight as well as a highly flexible approach to budgeting. But if you are creative and resourceful, the end result can be simply beautiful. Whilst it is true that many disused buildings are in prime locations where new housebuilding simply wouldn’t be entertained – former industrial buildings are often in central urban areas, for example, whilst barns tend to be in idyllic rural settings – at the heart of every conversion project is a desire to create a unique home. The fact that you can also reclaim some of the VAT paid on parts of your conversion work also makes converting attractive from a financial perspective. However, before considering a project, remember that the very essence of converting is to retain the building’s existing characteristics and individual features. This means working with, rather than against, the existing building – and dealing with structural as well as design problems as you uncover them. Old buildings – much more so than building from scratch – are notoriously difficult beasts to master. You will need detailed planning permission approval before you can commence conversion work. Don’t just assume that having seen an empty barn you’ll automatically be able to convert it. Many barns, churches and other old buildings are listed, so as well as getting planning permission, you may also need listed buildings consent. If the building is in a Conservation Area, then there will be restrictions placed on what alterations you can make. If you are converting a church, you will also need permission from the church authorities. In general terms, planners don’t like to see significant alterations to the external appearance of old buildings during the conversion process. As a result, the amount of new openings for windows and doors, and changes to exterior cladding might be limited, requiring a well-considered design scheme. In extreme cases you may also not be able to make any permanent interior alterations new additions might have to be reversible. It is important to have any building properly surveyed before exchanging a contract of purchase. A survey is usually carried out by a building surveyor who is a corporate member of the RICS (Royal Institute of Chartered Surveying), but you can also use architects and structural engineers. You can gauge from this just how much work – and money – is involved and what problems lie ahead of you, although bear in mind that until you begin working on old buildings it is impossible to know exactly what you are going to find. Conversion opportunities are as diverse as the number of buildings around, though you will find that most available opportunities tend to be farm buildings. 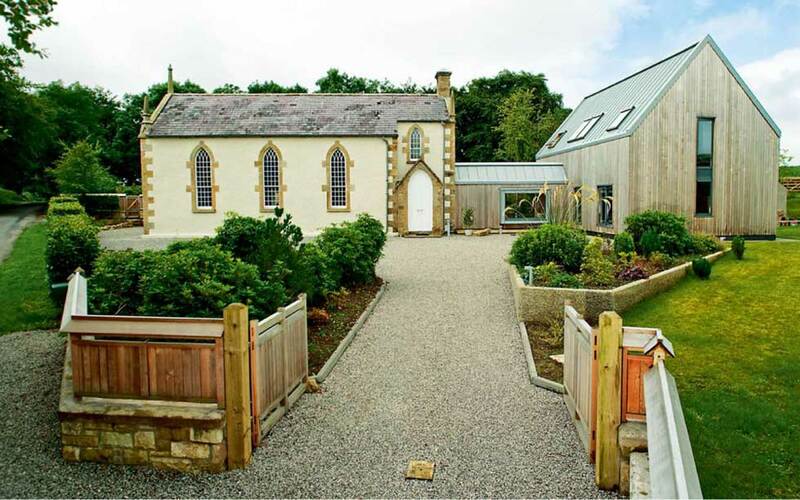 However, churches, chapels and schools do come on the market reasonably often and offer a good architectural challenge – as well as being in great locations, in the heart of communities; many farm buildings are somewhat off the beaten track. Industrial buildings (from warehouses to petrol stations) can be a bit of a mixed bag, especially if the building has been contaminated by its former use – decontamination can be costly. 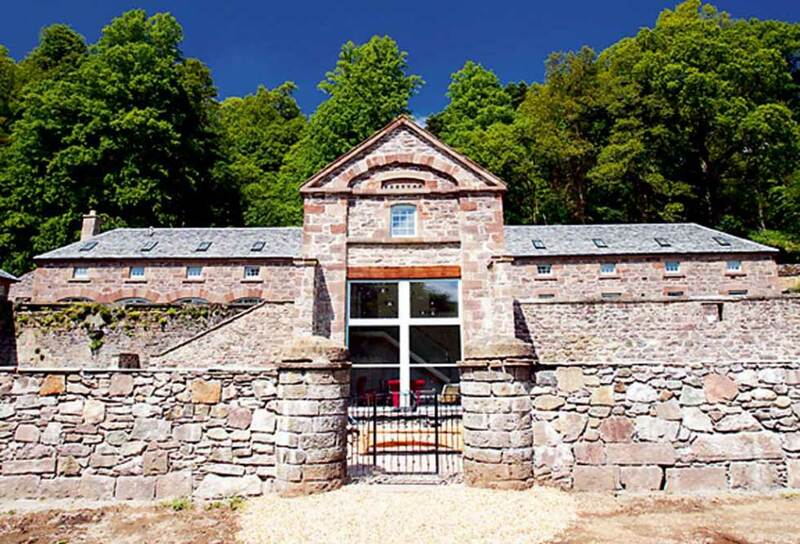 There are, however, many examples of highly successful industrial conversions, such as old watermills and former railway stations. Smaller warehouses and former factories can also make for stunning ultra-modern homes. A big plus point of industrial buildings is that they are often very close to city and town centres, and up-and-coming formerly run-down areas. Bear in mind that if you choose a badly located property, you are unlikely to ever get a good return on any investment. Thanks to the strict planning rules that govern building new dwellings in the countryside, barn conversions are vastly popular. 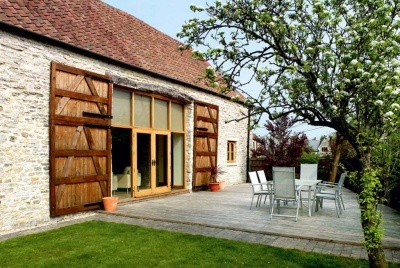 Many barn conversions may be carried out under what is known as Permitted Development. However, though many planners are keen to encourage the development of these now-obsolete agricultural buildings, they do place strict constraints on how much you can alter the barn’s exterior. You cannot usually change the roof line – dormers are never acceptable and rooflights should be keep to a minimum and out of sight. Openings should be kept as they are, which means making the most of existing doorways and cart door openings. Original materials should be repaired wherever possible and if a replacement is necessary, similar types should be used – preferably reclaimed or handmade. Though planners discourage the insertion of new openings in barns, there are often some existing apertures that can be used. Some barns are open-sided and can be glazed to form a stunning focal point. Cart door openings are often found on either side of the barn and can become main entrance ways or large glazed sections. Glazed ceilings can be a fantastic way to bring in light – this is where glazing is placed between the existing timbers and can be very effective over a double-height space to create an atrium-like atmosphere. Staircases should be made a feature of, especially in a contemporary conversion, where industrial-style steel, glass, and chunky timber can all look fantastic. 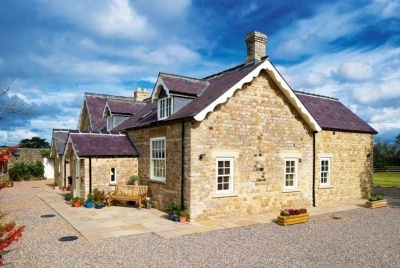 The type of barns available for conversion will vary considerably across different areas of the countryside. As a general rule, timber barns are predominantly found in the south and east while stone barns are more common in the north and west. Brick barns can be found close to areas historically associated with large brickworks. Both brick and stone barns tend to feature just small openings while timber barns tend to offer a much more vast volume of space. As a rule, stone barns are the most expensive to convert, while brick are the cheapest. You can’t obtain Outline Planning Permission for a barn, as the planners will always closely scrutinise any plans for conversion before permission is granted. If you find a barn without planning permission that you wish to convert, you may have to first prove that there is no viable use for it. An old factory or warehouse might not immediately strike you as the most obvious or inspiring of conversion possibilities, but it could actually be a fantastic way to get a large living space in an urban location at an affordable price. Pretty much any industrial or commercial building can be viewed as a potential opportunity – warehouses, factories, water storage tanks, fire stations, old railway buildings, telephone exchanges, disused petrol stations. The list goes on and on. Watermills, granaries and oast houses are technically classed as industrial buildings, but you will generally find them more akin to farm buildings. Due to an increased interest in urban living, opportunities can be difficult to come across in some cities. Try looking in less-obvious locations on the outskirts and dont instantly dismiss areas with a bad name. When it comes to design, make a feature of any original brickwork or beams, which will give the property a real sense of personality. Industrial and commercial conversions are so individual that you should not be allowed to forget the buildings origins. Try to keep individual features such as external staircases, plaques, door ironmongery, cast iron ventilators, bells and bell frames, machinery and traditional stone floor surfaces. Planning isn’t as hard as you might think; but, although the Government is encouraging more houses on brownfield sites and the residential reuse of buildings, councils often prefer to see multiple units in a conversion, as opposed to just one. What insurance do I need if I am converting a building from industrial use? If you are converting an industrial building into residential use, you should arrange conversion insurance to cover the new works and the existing structure. If you have a fire or other serious loss, you will need to think about reinstating both elements. Your contingency fund is unlikely to be enough to do this, so your will need Site Insurance. It is designed to cover the new works and the existing structure in the event you have a serious loss and should be arranged when you exchange contracts. All the works, including any temporary works, materials, plant tools and equipment should can also be covered. Public liability and employers liability is automatically included, to ensure you are adequately protected. You should also consider arranging a 10 year structural warranty as this will often be a requirement of a prospective lender. The warranty will rely on inspections on behalf of the warranty provider and you should also be able to include Building Control as part of the service, which will invariably save you money. For that reason you need to think about arranging the warranty early on. It’s worth discussing your project with a specialist provider like Protek as conversion projects can be complex and often include liability assumed under the Part Wall Act 1996. Redundant churches can make for the most surprisingly unusual and exciting conversions. Thanks to the Victorians, who built so many surplus churches that the pews weren’t even being filled in the 1800s, a large number of these striking buildings fell out of use long ago. In 1969 the law changed to allow the release of churches for alternative purposes and, since then, over 200 have been converted. Converting a church yields several distinct design issues. 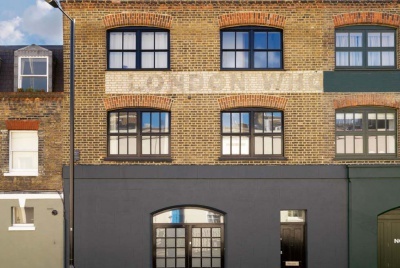 Planners are unlikely to allow any major external alterations as they will want to retain the original character of the building, and existing windows and doors should be retained and restored with sensitivity. If additional light is needed for a new first floor it may be possible to insert conservation rooflights. Luckily, churches aren’t that hard to find: a list of redundant churches is available from the Church Commissioners. 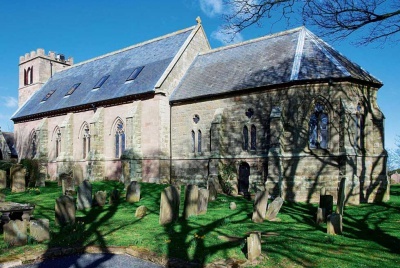 They also publish a useful pamphlet, New Uses for Redundant Churches, which provides a starting point for converters (020 7898 1000 or visit the website at churchcommissioners.org). You’ll need to run your ideas by the planners before making an offer, but when purchasing a church, the offer should be made to the local Diocesan Redundant Church Uses Committee. They put the offer to the Church Commissioners, who then make the final decision. As well as the planning department, you will also have to run any plans for architectural or structural changes to the Church Commissioners for approval. 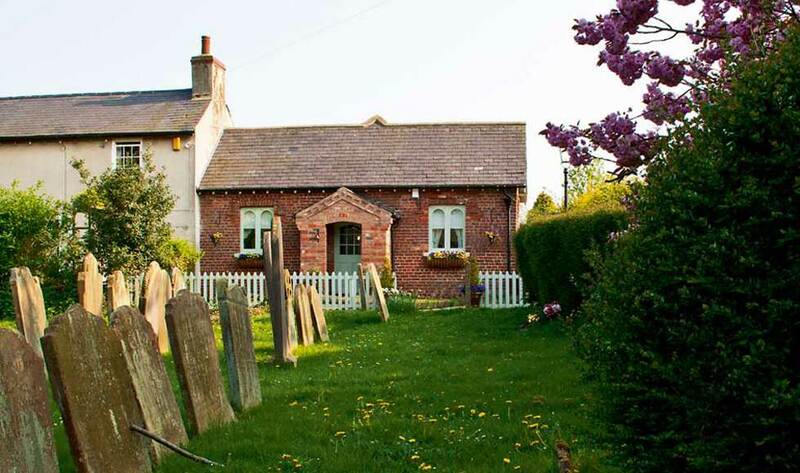 If the church has an attached graveyard, the law requires any human remains to be removed and interred somewhere else if the plans will affect them. A good start is to go to the local council offices and check for planning permissions granted or pending; look in local papers and enquire with estate agents. 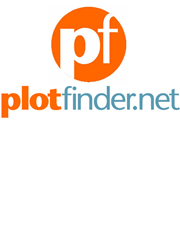 Try online services like property.org.uk/unique and plotfinder.net. It is often the case that suitable buildings aren’t actually on the market, so tour any areas you are interested in and look out for redundant buildings, the owners of which you can seek out to discuss your proposals with. For barns, a useful site is barnsetc.co.uk; if you’re after a church, try the Church Commissioners (020 7898 1000 churchcommissioners.org). A lot of the former public utilities sell off individual buildings contact the Estates Sales departments of companies such as National Rail. One final warning never buy a building on the assumption that you will be able to get planning permission to convert it. It is incredibly difficult to estimate the cost of conversion before you have gotten any quotes as each project is different and the condition of the property will have a big impact on expenses. 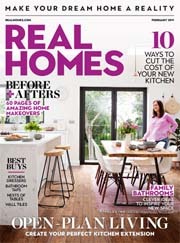 As a very rough guide, work to between £600 and £1,100 per metre square, depending on the building’s condition and how much DIY you are planning to put in. 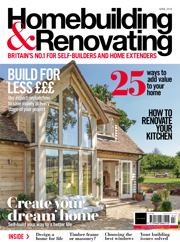 Getting finance for a conversion project isn’t quite as easy as a straight-forward renovation. Self build mortgage specialists tend to be a good bet, as is the Ecology Building Society (0845 674 5566; ecology.co.uk), which specialises in lending on out of the ordinary projects. Under HM Revenues & Customs Notice VAT431C Refunds for Do-it-Yourself Builders and Converters, private individuals can reclaim VAT paid on labour and materials. If you use a VAT-registered builder they will invoice their work and materials. You should keep the invoices for any materials you buy yourself. On completion of the project all qualifying receipts must be submitted together with the relevant forms to the central VAT office, which will issue a refund cheque. The claim must be made not more than three months after the conversion work has finished and you must issue evidence of completion. You are only eligible to reclaim VAT on dwellings that are for your own use. Holiday lets cannot be claimed for. You can read more on what is and isn’t allowed in our article on reclaiming VAT for your building project. 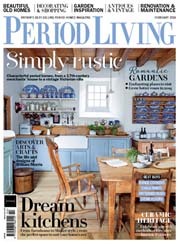 Barn Conversions – Brand new selections of barn conversions in one of our most popular books. Barn Conversion. Has anyone had experience of converting a ‘modern’ barn – steel frame with concrete block walls on the lower half and sheet cladding to the upper half and roof? 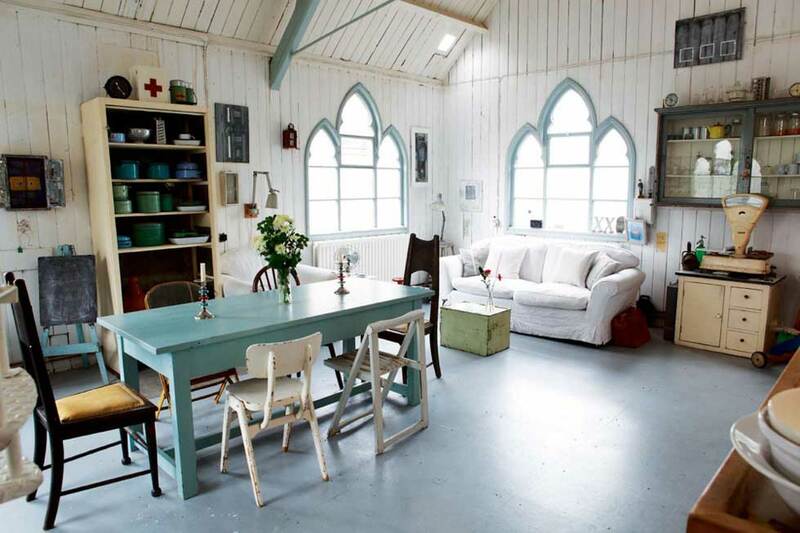 Can anyone offer any advice as to restrictions of use for old chapels? Are there, for instance restrictions on retail use or use as a centre for meditation and courses? I am seeking advice and ideas to convert a modern barn ie steel framed, block and sheet metal walls, metal roof. Iona, we have the same question. It would be good to see a completed project where a steel frame and block building has been converted. We would like to use straw bales where we can too. We are converting an RAF control tower. Part of the buding was a fire station. The fire station had been rented out as a workshop in the past. It seems to be a nightmare trying to deal with the Valuation Office and we keep getting Non Domestic Rates demands! We live on site and pay council tax. Have any other converters had this experience?